One way to decrease the number of insects in your yard is to attract birds to your home. Many birds feed on insects, which can be a boon if you regularly deal with unwanted guests like mosquitoes or earwigs. Birdseed will attract birds, and there are other methods to get them to stay and help with insect problems. Feeders attract birds by offering an occasional snack (or welcome meal during colder months when food is scarce). You can fill your feeder with a seed blend that appeals to different bird species (e.g. cardinals, chickadees, and sparrows) or you can try other offerings like suet cakes or mealworms. Suet cakes contain nuts, seeds, and fruits, and mealworms are especially inviting for hungry birds. Birds enjoy clean water for drinking and bathing. 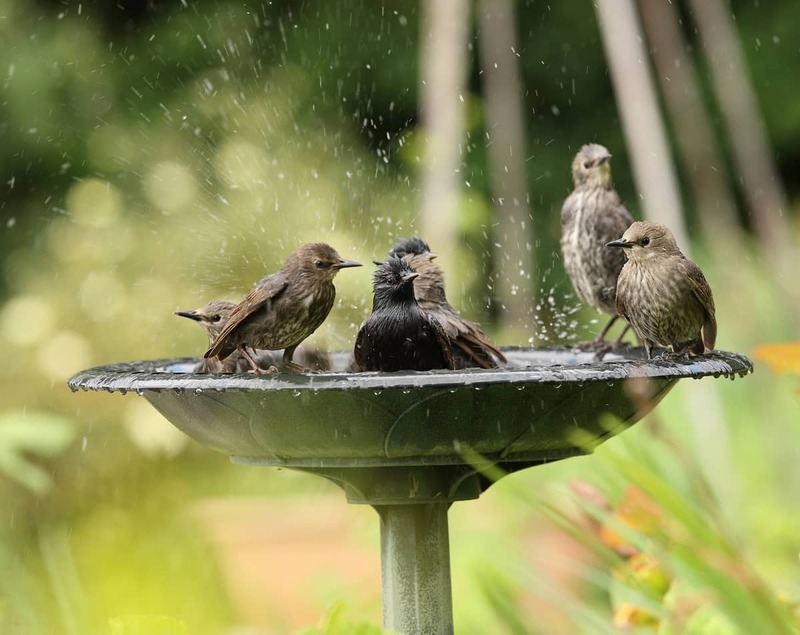 A basic bird bath is fairly easy to acquire, and you can add accessories to make it more attractive. One good addition is a birdbath bubbler, since birds are attracted to moving water. The motion of the water keeps it from becoming both stagnant and a breeding ground for mosquitoes. Solar-powered fountains that save energy and heated bird baths for winter months are other options. 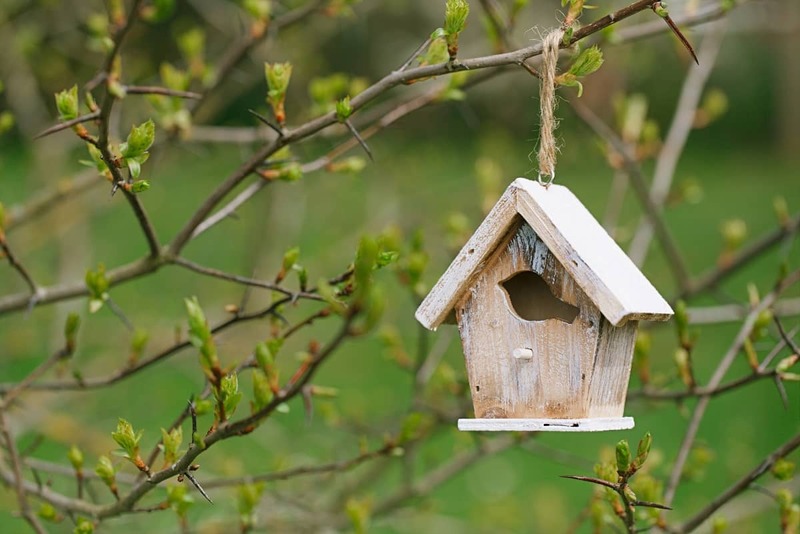 A place to nest like a birdhouse or nesting box can provide a home for birds in your yard. Some species (such as purple martins) won’t stay in the area if they don’t have a place to live. 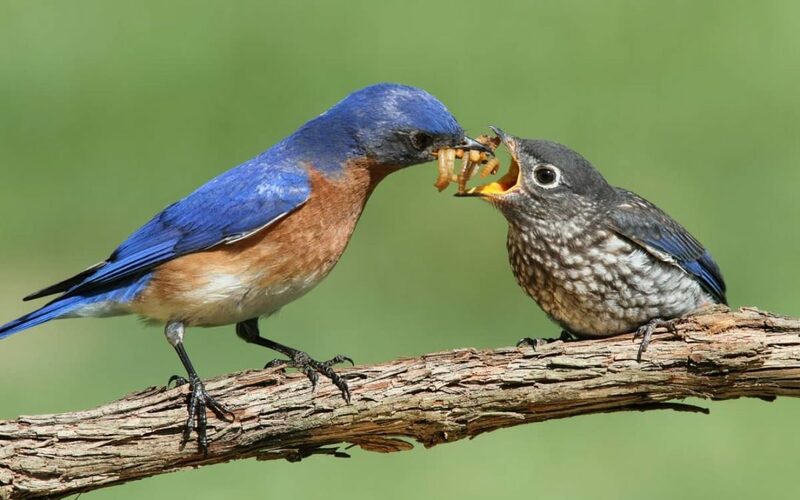 In a house, birds can safely feed insects to their chicks, who are too young to digest seeds. Covers (like bushes, shrubbery, and trees) can provide more nesting sites for birds, especially in the spring and summer. Allow one part of your garden to develop naturally so birds can use that space for nesting. While plants are a potential breeding grounds for insects, hungry birds will take care of the insect population for you. Attracting birds to your yard is an effective way to control insect populations. If you find indoor insects to be a problem, call for professional pest control services. Contact Mr. Pest Control at (705) 739-7378 in Barrie, or (705) 326-3377 for Orillia.